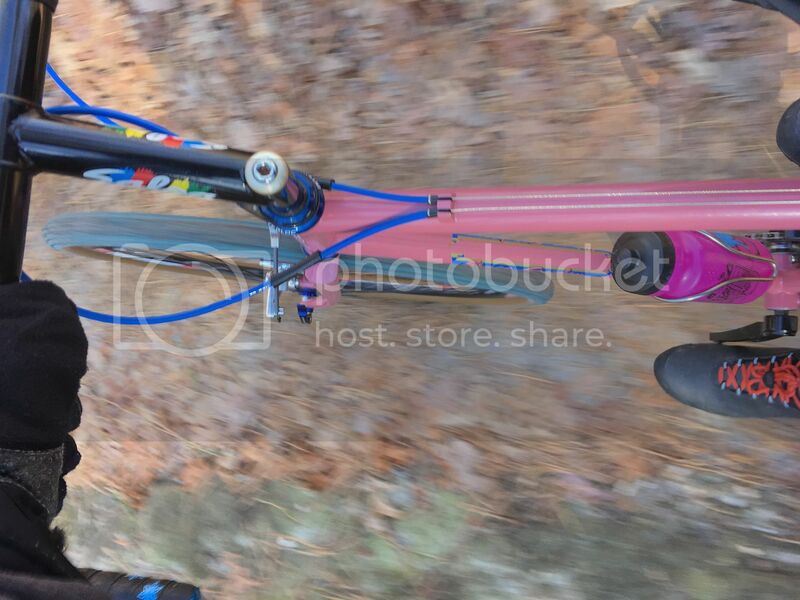 I just pulled the same ride as yesterday shown....looks like everything is fully thawed and worse than yesterday. Are you going into Allaire? I just finsihed and other than the first 100 yards from the lot, everything was dry. Didn't do TW. It was good before 10am. Even TW. Then at 10 on the dot. Like hitting a switch. Turned to mush and I went home. There were people still gearing up when I left. Hopefully they didn’t stay too long. Lot was packed when I rode by on road bike at 3:45. Yesterday first 300 ft of orange were mush. If you enter via road that can be avoided. After that the place was quite dry. There was no mud whatsoever on Tiger which is shocking to me. Glass hard as rock. No mud on the DH runs back by the powerlines. If you don’t know the park, don’t go. If you know what trails are usually dry, it’s dry. 1. Local dry- dry enough that riders will not damage the trails to the point that they need human repair. 2. Tourist dry- I drove more than a half hour to get here. I’m not turning around. I will just tell myself it’s dry as I ride the brakes through the numerous muddy sections for fear of wiping. Maybe we need to post photos of conditions. I agree with @chemgirl Glass was dry. Did it both ways since it's one of my favorite sections. 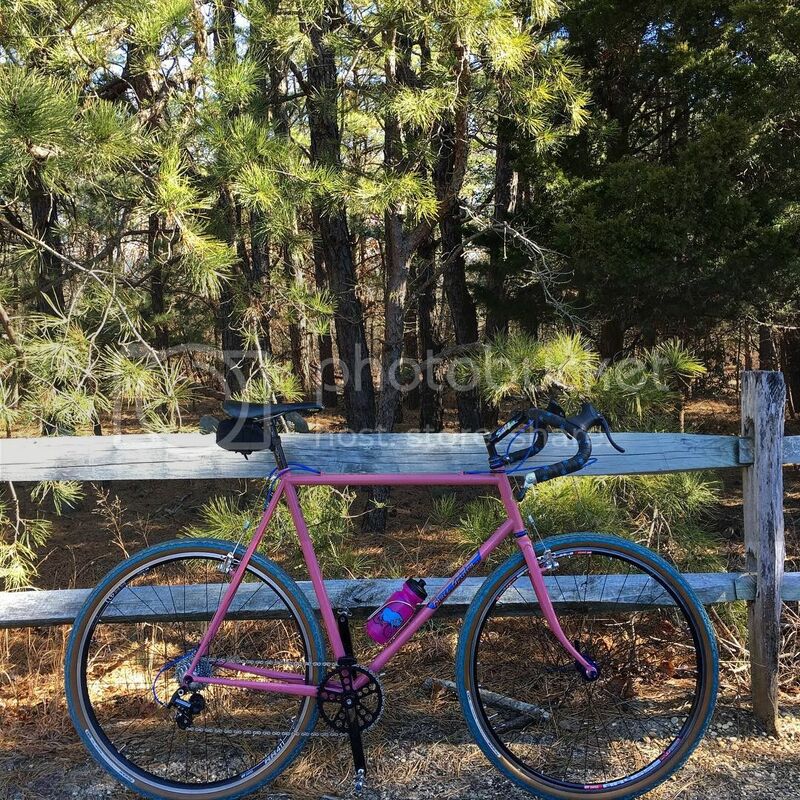 Allaire was pretty good (dry) today 3/4, except for the trails along the Manasquan south of Hospital Rd and west of the bridge. Those were very muddy around the water crossings. When we were driving home, my friend said to me: "This place is amazing." 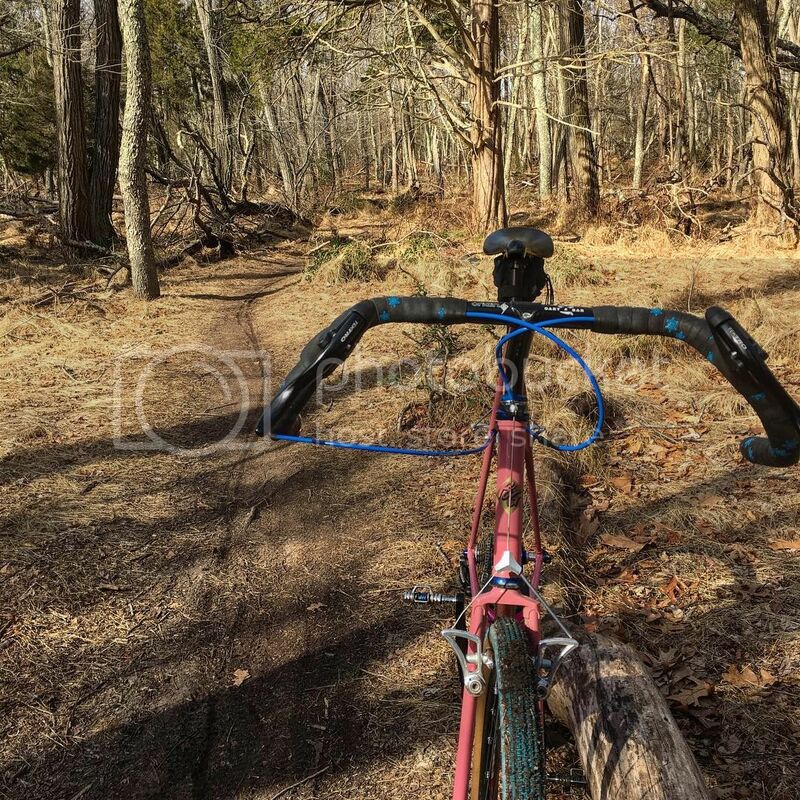 because of how the trails contrasted to north Jersey. Heading to Allaire for the first time tomorrow around 10am. After climbing 1,600ft. in 5 miles at our local spot... sounds like Allaire will be a paved trail. Some wet spots, mostly hard and fast. Conditions were perfect this AM. Thaw started around 12pm. What a great time, rolled in just after 10am... I'll leave out the details since i'm sure our pack of 20 hit some of the non-talk about spots. Great to see the lot completely packed, maybe mountain biking isn't dead in NJ. Talked to a few of the locals, awesome area. Will definitely be back for winter riding! Thoughts on conditions for today? Any snow last night? Northern Monmouth had a dusting and it has already melted. I'm sure alaire will be ok today. News 12 shows a dusting on the pt pleasant boardwalk. So there might be a little snow. Snow is on the ground, I hope to be over there in a bit. Still got snow on the trails?